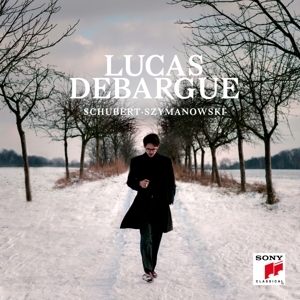 Though placed “only” fourth at the 15th International Tchaikovsky Competition in 2015 Lucas Debargue was the only musician across all disciplines who was awarded the coveted Moscow Music Critic’s Prize as a pianist “whose incredible gift, artistic vision and creative freedom have impressed the critics as well as the audience”. Straight after this incredible breakthrough Lucas Debargue is invited to play solo and with leading orchestras in the most prestigious concert halls in Russia, France, Italy, the UK, Germany, the USA, Canada, Mexico, Japan, China, South Korea and with such famous conductors as Valery Gergiev, Vladimir Fedoseev, Vladimir Jurowsky, Andrey Boreyko, Gidon Kremer, Vladimir Spivakov or Vasily Petrenko. 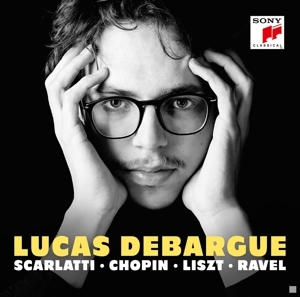 Lucas Debargue has already released two CDs with the label SONY CLASSICAL, the first with works by Scarlatti, Chopin, Liszt and Ravel (March 2016), the second with works by Bach, Beethoven and Medtner (September 2016). Born in 1990, Lucas Debargue was 11 years old when he took his first piano lessons at the Compiègne Conservatory, in the class of Christine Muenier. He got quickly fascinated by the virtuoso repertoire, yet it wasn’t until 10 years later, after he graduated from Paris Diderot University with a Bachelor’s Art Degree, that he decided to return to studying piano at the professional level. After a year of studies at the Beauvais Conservatory in the class of Philippe Tamborini, he was put in touch in 2011 with his current mentor, the celebrated Russian professor Rena Shereshevskaya. This encounter became decisive for Lucas: she quickly recognized in him a piano interpreter with a great future and accepted him in her class at the Alfred Cortot Paris Superior Music School to prepare him for the major international competitions. 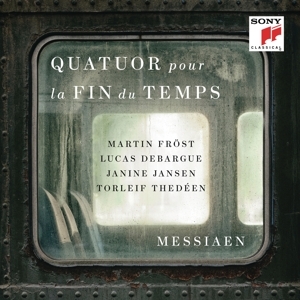 During his studies he was supported by the Cortot School, the Zaleski Foundation as well as by the Orchestre de l’Opéra de Massy (lead by Dominique Rouits) and the orchestral ensemble “Les voyages extraordinaires” (lead by Joachim Jousse). In 2014 he won the 1st prize at the 9th Gaillard International Piano Competition (France) before becoming one of the prize winners at the 15th Tchaikovsky Competition, when the world instantly took note of a startling and original new talent. In parallel with the studies at the Cortot School he obtained a Licence degree at the Paris National Superior Music Conservatory (CNSM). A performer of fierce integrity and dazzling communicative power, Lucas Debargue draws inspiration for his playing from literature, painting, cinema, jazz and develops very personal interpretation of a carefully selected repertoire. 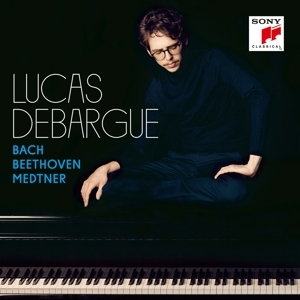 Though the core piano repertoire is central to his career, Lucas Debargue is also keen to present works by lesser-known composers such as Nikolai Medtner, Samuel Maykapar or Nikolai Roslavets. He also composes his own music, and some of his works have already been premiered in Russia as well as in France. In April 2016 he obtained a “Diplôme Supérieur de Concertiste” and a Special Cortot Prize at the Cortot School. At present he continues to do post-graduate work with Rena Shereshevskaya. Piano Sonata No. 14 In A Minor, D784 e.a. Gaspard de la Nuit e.a.